You are currently browsing the category archive for the ‘Best Sound Mixing’ category. For all my hate of Les Miserables, there actually is some good (maybe even great) music in there. “Suddenly” is not that. There are a few exciting measures around the “Trusting me the way you do/I’m so afraid of failing you” bit, but the rest feels like a poor man’s imitation of a lesser Muppet song or something. John and I were talking about the problems with Jackman’s speak-singing, and I think some of those are manifested in the song, in that the music isn’t terribly interesting to begin with, and since Jackman isn’t going all out, the song ends up pretty boring. Maybe it is because I first came across the song on YouTube, but “Before My Time” sounds exactly like it should be played over the end credits. Always gently moving forward, it presumably allows for some mild reflection as it provides the soundtrack for your exit. Somber and inoffensive, I’ll completely forget this song in 15 minutes. So, my listens of “Everybody Needs a Best Friend” are probably colored by two other things I’ve been listening to lately. Norah Jones’s “Miriam” (thanks Ian!) is a murder ballad that, frankly, makes me terribly frightened of the chanteuse. But she’s so good on it, I keep wanting to hear a sinister undertone to this song. Which is on me, I know. And then yesterday I listened to Emmy Rossum’s new album of standards. Anyway, where I’m at is that “Everybody Needs a Best Friend” is a perfectly fine throwback to the olden days, and one of the reasons I’m cautiously optimistic about Seth MacFarlane hosting the show. The song is an earnest attempt at a standard, but I’d argue is hampered by its timidness. MacFarlane can be quite clever, but the lyrics lack a hook or spark that I heard in some of the stuff on Rossum’s album. Granted, it is a bit much to ask an Oscar nominee to be a classic, but the point still holds. I have to admit that the first three or four or times I listened to “Pi’s Lullaby”, it felt inconsequential. But then something finally clicked. Especially once the main theme kicks in around a minute and a half into the song. I think the key is to think “lullaby”. Danna creates a dreamy, almost lush, sound that is light and effervescent, playful and calming. But obviously it was always going to be “Skyfall”. Obviously it sounds exactly like what you’d expect an Adele Bond theme song to sound like. But that’s OK, because I’d expect an Adele Bond theme to be amazing. You know, I’ve spent the past ten minutes trying to figure out how to reconcile this song with the rest of the Bond movie (which I’d argue save for the opening sequence, the plot point cribbed from The World is Not Enough, and maaybe the last five minutes, isn’t really a Bond film). I think it was too easy for this collaboration to happen, it would have been more difficult to come up with a different plan. And while everything about this is on the nose, again, that doesn’t make it bad. I enjoy the Original Song category, but damned if it isn’t frustrating. 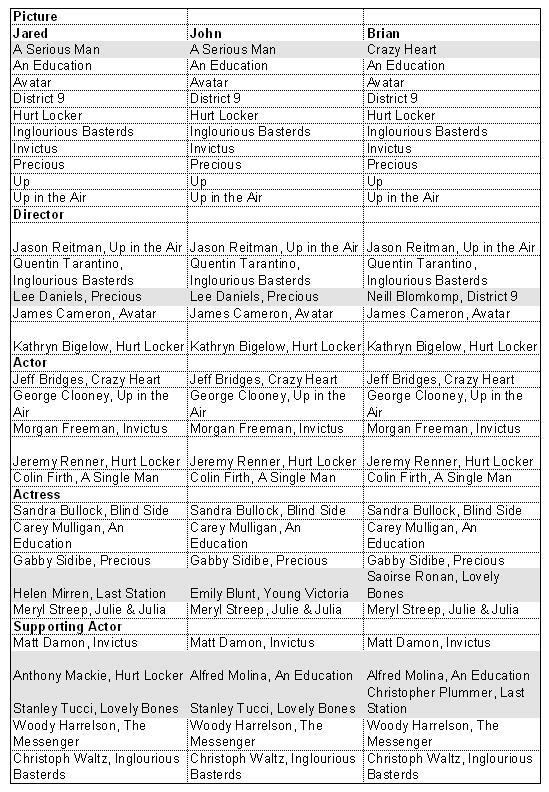 Some years there’s a crappy crop of songs and the Academy dutifully nominates a crappy slate. Then other years there are a number of good and compelling songs… and the Academy nominates a bunch of crappy songs. At least this year they are nominating five unlike last year’s debacle. This was a decent year and if you made a playlist of the eligible tunes you’d be sure to find many you like. So it’s too bad this year’s list of nominated songs is so bland. There’s a clear winner. Thankfully, it’s also a darn good song used to good effect in its film and not just the best of a weak crop. And that winner is “Skyfall.” Adele was made to sing a Bond song, don’t you think? “Pi’s Lullaby” is the only other nominee I like and it’s sort of an unmemorable Indian chant tune. “Chasing Ice” and “Everybody Needs a Best Friend” are totally bland. “Suddenly” is not helped by Hugh Jackman’s heavily-emoted singing and it sounds pretty bad out of context. I might say maybe it would be better if it was recorded in studio, but it just isn’t a very good song. So what should have been here? I don’t know how both of the folksy tunes from Brave, “Learn Me Right” (Mumford and Sons” and “Touch the Sky,” missed here. The latter is even part of a neat early scene in the film. For some hip hop, check out “100 Black Coffins” from Django Unchained. “He’s Everything” (Dolly Parton and Queen Latifah) from gospel choir movie Joyful Noise and “Let It Rain” (Badly Drawn Boy) from Being Flynn are two longshot favorites of mine. We have a nice slate of Original Score nominees and there isn’t an obvious winner. 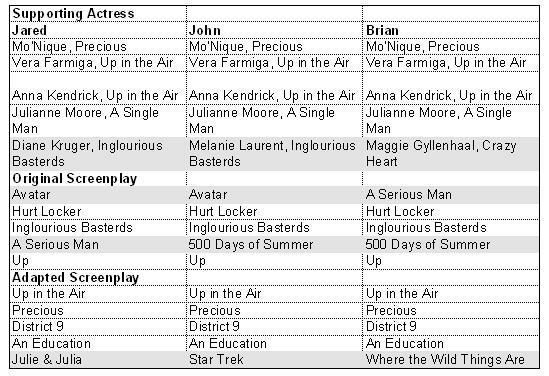 I’d say Anna Karenina and Life of Pi are the only two nominees whose scores truly caught my attention during the film. Joe Wright always lines up some interesting music for his films. 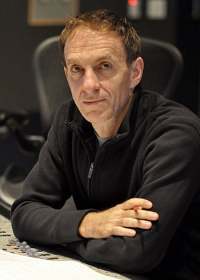 Marianelli’s previous contribution to a Wright film in Atonement won him a well-deserved Oscar and check out last year’s Hanna for a pulsating score from the Chemical Brothers. The Anna Karenina score doesn’t have quite the gusto of Atonement, but it is a great complement to the film’s inventive scenes. Life of Pi works better in the film than on its own. Without the stunning visual displays it feels a bit incomplete but it is a vital part of the film as a whole. Every year there always seems to be one understated nominee in this category and Argo fits the bill this year. Good music with interesting Middle Eastern twinges to some of the compositions, but not particularly memorable. Finally, there are the brash nominees. 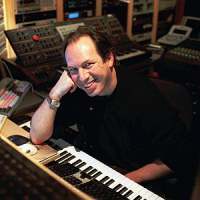 Williams leaves no doubt that he is scoring a Spielberg film and sometimes Lincoln is suffocated in swells of music that hammer home every emotional beat. But the woodwind motifs make it feel like an instant classic (or is it so derivative of previous Williams compositions that it just feels like a classic?). 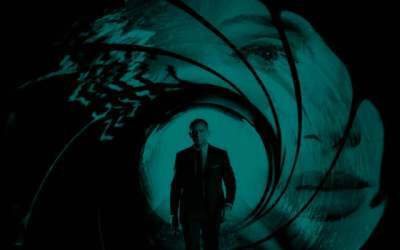 Finally, Skyfall is in your face, loud, and thrilling. It’s probably the best of the bunch when listening to it on its own. So which to choose? Is it better to lean towards the work that I simply like the best or is its use in the film most important? It’s a very close race for me between Life of Pi, Skyfall, and Lincoln. At any given point my mind may change, but for now I lean towards Life of Pi. It doesn’t quite hold up to the other two as standalone compositions, but it’s so successful in the context of the film and essential to the film. Should have been here: Aside from Les Miserables, the only soundtrack that has received numerous replays from me this year is Brave with its Scottish folk compositions. It can be overbearing, but the music in Cloud Atlas sometimes feels like a separate character while the pulsing music from Beasts of the Southern Wild perfectly punctuate a few great scenes, particularly at the end. And I’m not sure if it was eligible, but Johnny Greenwood gives Paul Thomas Anderson another brilliant, off-kilter composition for The Master. I’m no expert on the subject, but I usually have some sort of opinion on the sound categories. But I look at these nominees and I’ve got nothing. The mixture of Western and blacksploitation styles in Django Unchained gets my vote for Sound Editing. 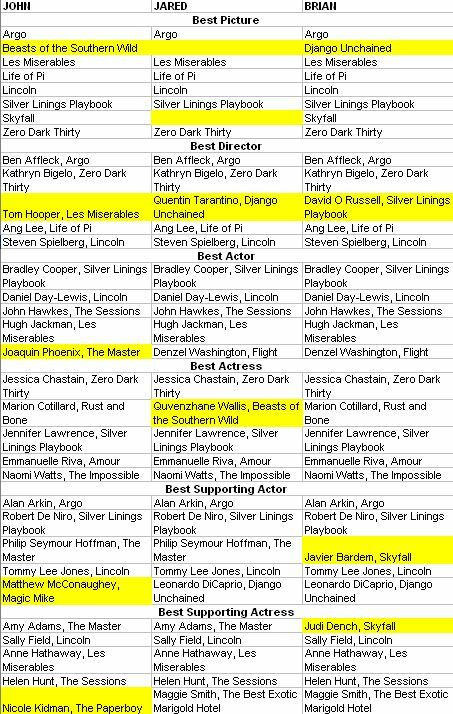 That film wasn’t nominated in Mixing, so I’ll switch allegiance to Les Miserables. I didn’t think the live singing always worked as a stylistic choice, but it did always feel realistic and gave the mixers an extra challenge to properly balance the vocals, backing music, and effects. Plus bonus points for the extra-loud, extra-gross sound of Jalvert’s body slamming into the stones below while committing suicide! Last year I made a comment that action movies do not have realistic sounds and compared the digital clangs in Transformers to the terrifying noises produced by tsunami footage found online and in last year’s Documentary Short nominee The Tsunami and the Cherry Blossom. I said an action movie should try some more realistic sounds and one actually did this year, with a tsunami to boot! 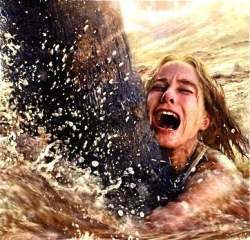 The Impossible‘s tsunami scenes expertly use sound to terrify the audience. The relentless pounding of the current displays the awesome power of the sea. The groans, cracks, and crunches of debris feel deadly and not just digital creations. Then the film does all the above while underwater to bring home the utter chaos of it all. This is immersive, thrilling, and terrifying work. Sound Editing is basically sound effects and do you know what had great sound effects? Drive. I’ve seen plenty of movie car chases in my day, but the sounds of a car engine have never made an impression on me like they did here. It made me want to go out and drive! I saw Drive about five months ago and I still think of it when I’m driving and the engine revs. But it’s not all mechanical noises here. Another one that made quite an impression on me is the sound of Ryan Gosling’s leather driving gloves and their creaks as he pulls them on or adjusts his hands on the wheel. Sound Mixing is the mix of all audio elements of a film: dialogue, music, ADR, sound effects. People who have actual knowledge of the subject sayMoneyball has a great mix. But I think I’ll plump for Transformers. It sure has a lot of sound! But I was also struck with how it isn’t overwhelming. The dialogue remains clear even in the busiest action sequences while the music is complementary: notable but not overwhelming. Plus it would be nice to see Greg P Russell finally win an Oscar on his fifteenth try. The film would probably also make a good fit in the Sound Editing category for all those mechanical noises. Something that crossed my mind during the big Chicago shoot-out at the end of Transformers is what would happen if they went for more realistic sounds as buildings crash and Transformers clang around? We think we know what disasters sound like from seeing so many movies, but think about footage from true disasters like 9/11 or the Japanese tsunami. The sounds are not like the movies and they are horrifying. An action movie should try it some day, unless they are worried about freaking people out for being too real. The real best sound mixing of the year is Hanna. Truth be told, I’m kind of excited just to have an actual favorite sound mix. Since when does that happen? Anyway, Hanna has a great audio design with, like the rest of the movie, a bit of flair. They really put the thumping Chemical Brothers score to great use. Hugo, War Horse, and The Girl with the Dragon Tattoo all got nominations in both categories. 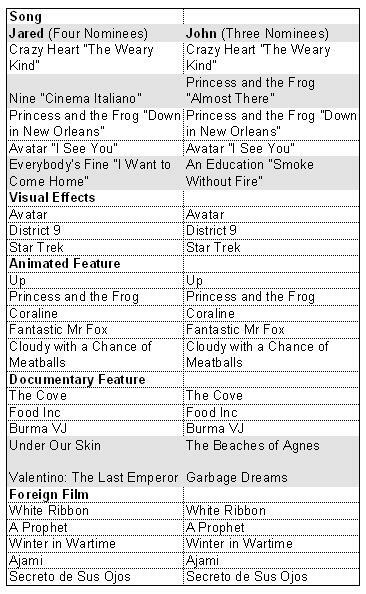 I can see Tattoo for Mixing while war films generally do well in sound categories, but I don’t get Hugo. How about some Mission: Impossible – Ghost Protocol. Sound just isn’t something I notice terribly often. So if I really had to pull for someone, I’d probably go with what the guilds went for. The MPSE honored War Horse for Sound Effects and Super 8 for Dialogue and ADR. I will make the case, though, for Transformers. 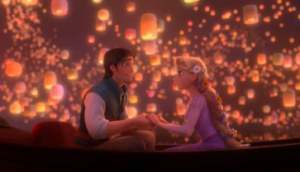 That movie is pure eye and ear candy. The Michael Bay conversation probably isn’t appropriate here, but to me, those movies are all whiz-crack-bang-boom, and that isn’t a bad thing. Sound plays rather heavily into that sugar symphony, but it never gets distracting, just a natural part of the metallic cacophony. Jared did a fine job of organizing our pre-nomination wish/prediction posts in my absence. In my haste to rush off to an African country without a single cinema (those poor – literally – people) I forgot a couple things! Each of these could fit in multiple categories: long shot dreams, technical category wishes, or just things I have my fingers crossed about. The first is Hanna for Sound Mixing. My memory was jogged when I saw it managed to land a guild nod, inproving its chances at the Oscars. The whole film is a delighful stylish exercise, but the sound mix really stands out, particularly as it blends in The Chemical Brothers’ pulsating score. Second is Kung Fu Panda 2 for Animated Feature. In a lackluster animated year with a full five nominees, I don’t know how this seems to never be in the discussion. It’s almost as good as its nominated predecessor and contains some really impressive animation, including a sequence with a neat Asian style. Won’t someone think of this film, which is also the highest-grossing film with a female director of all time? What’s the Story with Avatar? So I’m calling you out, John. What on earth did you see in Avatar? Obviously, like everyone else in the world, I’ll preface my thoughts by acknowledging the sheer beauty of the visuals. The 3-D worked stunningly well. There is a scene early on (in an aircraft, I believe), showing some instrumental panels that would be at the top of my list to convince people 3-D doesn’t have to be a fad or kitschy, just because of how the 3-D added to the vividness of the quiet scene. But here’s the thing. James Cameron aspires to not only have incredible images, but to tell a story well. Which is a (maybe the) big difference between Cameron and, say, Michael Bay. Cameron takes breaks from the action for attempts at theme and story. Bay takes breaks from the action for…well, I suppose the concept of Michael Bay taking breaks from action is more of a hypothetical. My evidence for Cameron’s intentions in Avatar would be all the (relatively) non-effects-laden scenes in the film, where ostensibly some sort of narrative is taking place. Except nothing gets developed at all. All of the characters are stock characters at best (Sigourney Weaver, Giovanni Ribisi, Sam Worthington, Zoe Saldana), ciphers at worst (hulking Vince McMahon lookalike (apologies, Stephen Lang), guy from Dodgeball, Michelle Rodriguez). Which isn’t a knock on the actors (I wouldn’t necessarily cry at a Saldana nom) as much as what happens when Cameron tries to cram story into his visuals, because I think that learning Rodiguez’s backstory, or seeing some of pressures Ribisi’s character is facing could both be really interesting, for example. Instead, their stories are glossed over or assumed. We’ve all seen and heard the jokes comparing Avatar to the Pocahontas story. Frankly, I don’t see the relevance. A compelling story is a compelling story. I’m reminded of the old saw about how Shakespeare appropriated plots for many of plays. The problem here, then, isn’t that the film uses an unoriginal framework, but rather that it never takes the next step by filling in that framework with anything meaningful. Cameron’s ambition may be his undoing. 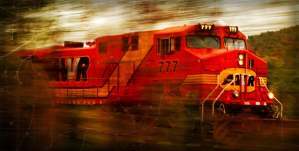 He’s created an extraordinary vision of the future, but tries to show too much in too short a time frame. Maybe the story would have best been told as a miniseries, each episode focusing on a different character. I dunno, perhaps this is a reason I don’t generally like fantasy. For example, I’d rather not use my imagination to think about the other Na’vi tribes that happen to show up at the end, but would be happier with a subplot (or at least a scene) concerning tribal relations. Or something more than a montage (sorry, Brian) showing Worthington’s assimilation into the Na’vi culture. Even the concept of avatars itself, a worthy addition to the sci fi philosophical discourse on the connection between mind and body (just off the top of my head, other examples being: Dollhouse, The Matrix, Total Recall, the Star Trek holodeck, Ender’s Game, Frankenstein) isn’t really explored. I understand liking Avatar. I understand how a little of the most awesome visual effects put on film could go a long way. But I fail to see how they can completely cover for the times where the film is, well, pedestrian.